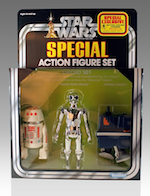 It doesn’t take long for the Imperial Forces to react after the disastrous and devastating loss at the Battle of Endor. 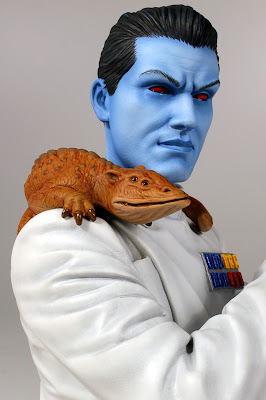 With the Emperor gone, many would-be “heirs” attempt to stake their claim. 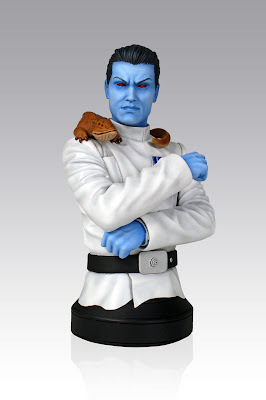 However, they only manage to accomplish fracturing the remnants of the Imperial Fleet into dozens of small factions under various self-styled warlords. 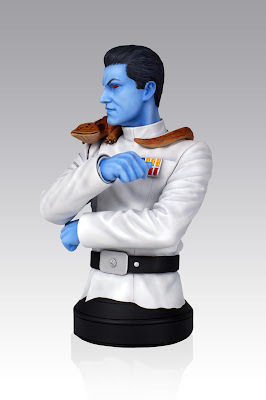 As chronicled in Timothy Zahn’s epic trilogy of novels, the most powerful warlord, Grand Admiral Thrawn, quickly rises to the top and becomes the greatest threat to the fledgling New Republic. Gentle Giant Ltd. is proud to bring you one of the most infamous characters in the Star Wars Expanded Universe – Grand Admiral Thrawn! Featuring ice-blue skin complemented by his Imperial Dress Whites, the Grand Admiral Thrawn mini bust exudes calculated menace. 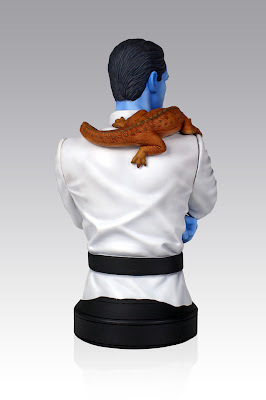 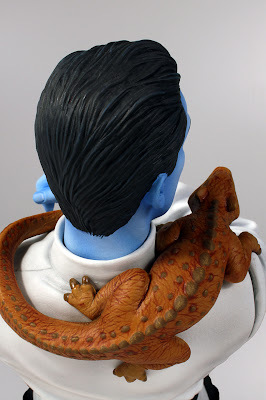 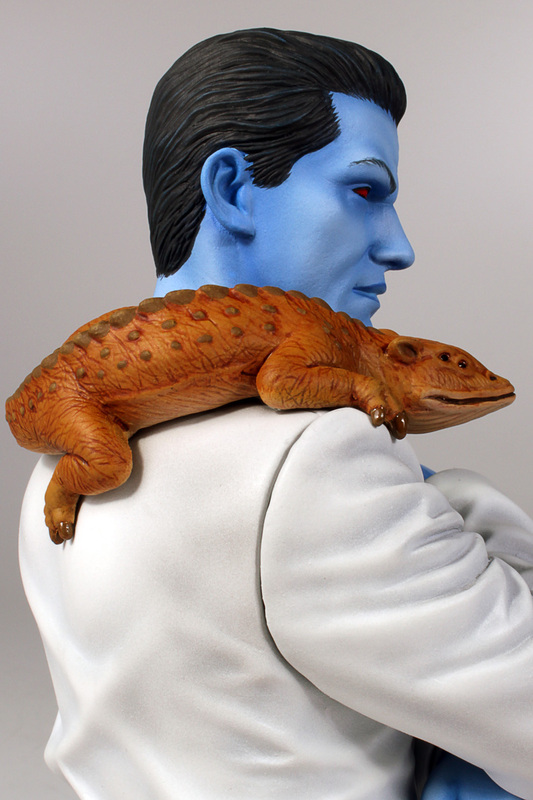 Of course, no Thrawn piece would be complete without including his pet Ysalamir, the perfect defense against any Jedi. 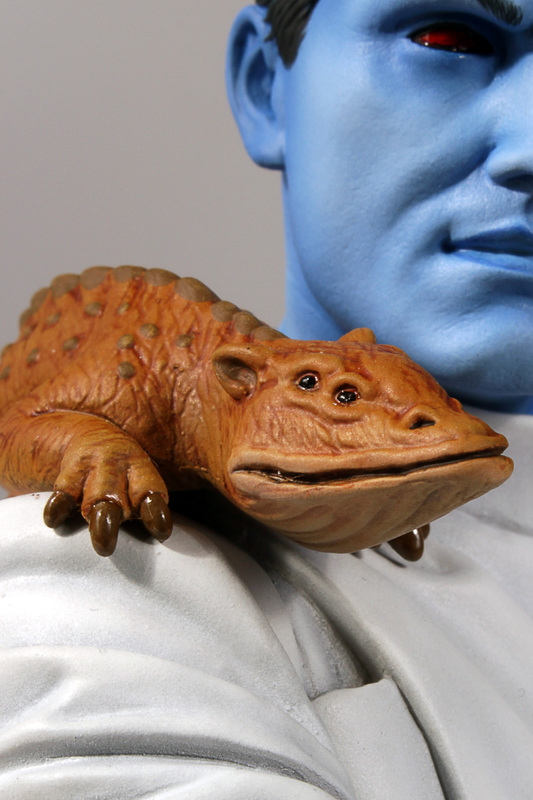 Hand crafted by the master artisans at Gentle Giant Ltd, each limited edition bust comes individually numbered and includes a matching certificate of authenticity. 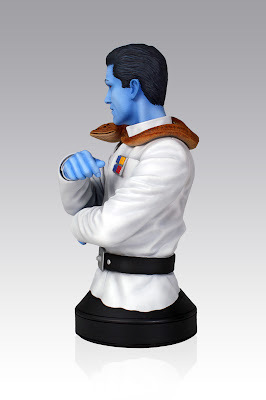 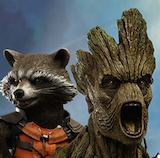 Star Wars Grand Admiral Thrawn Mini Bust is now available for Pre-order through Gentle Giant!